This lovely blue and white room views the valley and the surrounding mountains. 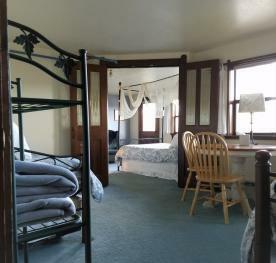 The bed is a King size with shared bathroom with Meadow. Rented with Meadow it is a family suite. Larkspur sits high above the valley looking toward the rising sun. 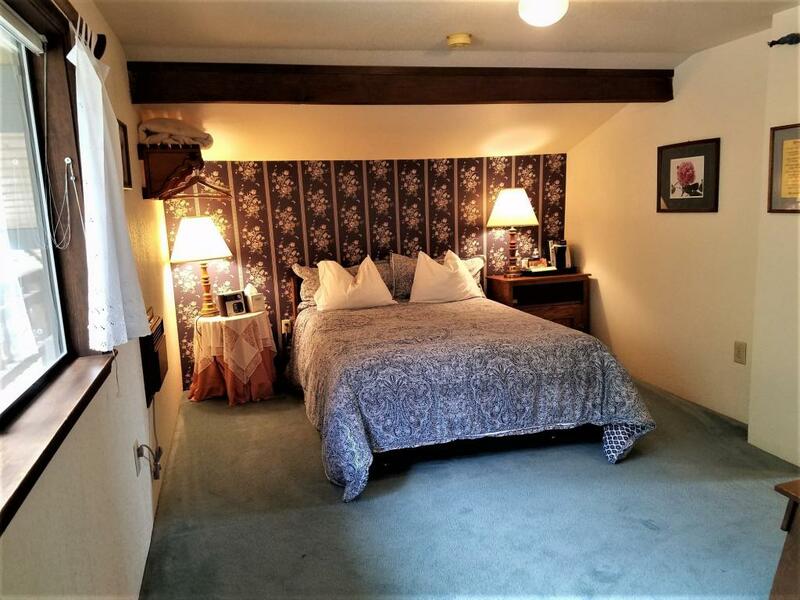 Radiant heated floors, large tiled shower with double shower heads, microwave and refrigerator and breakfast delivered to you room on request are added features. Mountain is the closest to the sound of the great horned owl, who resides on Tumwater Mountain behind the inn. 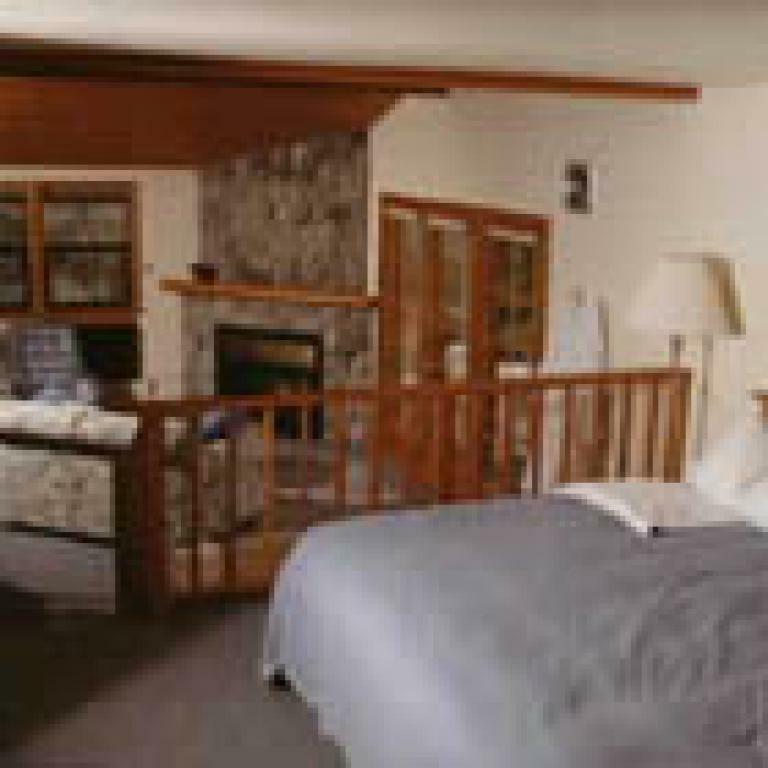 The snowy white down comforter on the king bed, fluffy pillows and dark wood remind you of Europe. Mountain room has a private bath. A cheery room with cozy seating area, beautiful linens, balcony with a panoramic view of the valley and the option of having breakfast delivered to your door. 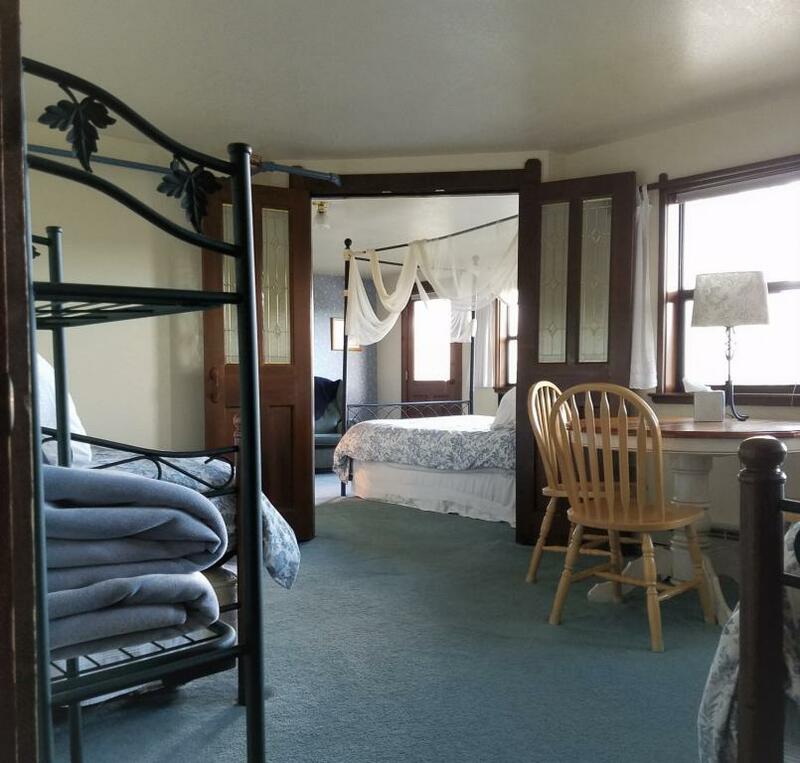 A great view of the valley and a separate sitting room with two very nice twin daybeds, this room offers space for a family or several friends. Includes a private bathroom with a common bath across the hall from Country Garden. On the top floor looking out over the meadow and valley, this room has a double bed and a Eurotwin (two twins on a king frame, made up separately). Rented with Dayspring it is a great family suite. 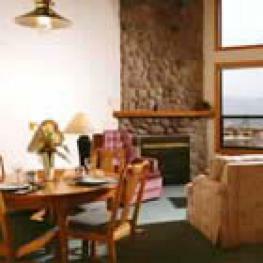 This cozy room at the top views the mountain has a queen bed, a private bath and has a private balcony. A small couch and a single trundle bed can accommodate a third person. 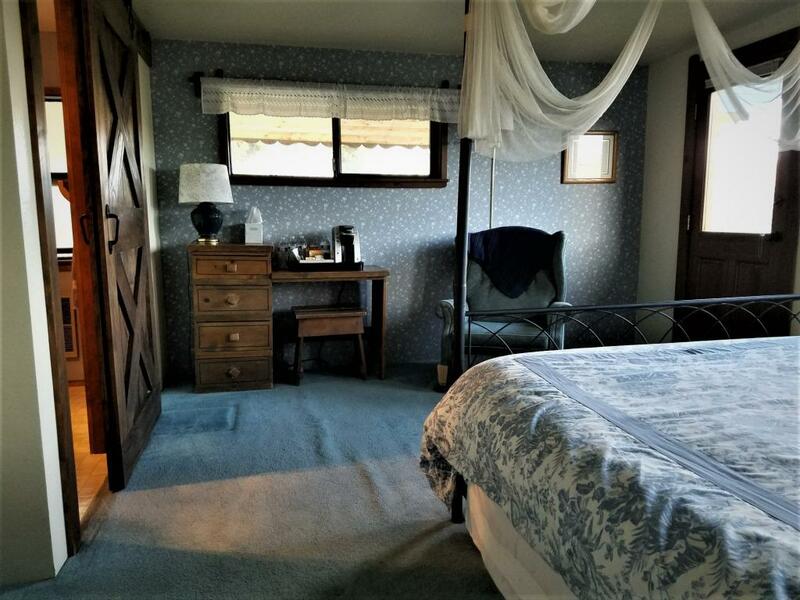 This gracious two room suite has a balcony for viewing the entire valley. A very nice twin daybed in the sitting room provides privacy for an extra guest or child. Includes a private bathroom with a common bathroom across the hall from Sunrise. Windsong has a Queen bed and a day bed with a view of Tumwater Mountain. The wind rushing through the pines on the mountain plays its melody for you as you sit on your balcony. Includes a private bathroom. Haus Rohrbach is a ten room country style Bed and Breakfast over looking the scenic Leavenworth valley and only three minutes from the Leavenworth village restaurants and shopping. 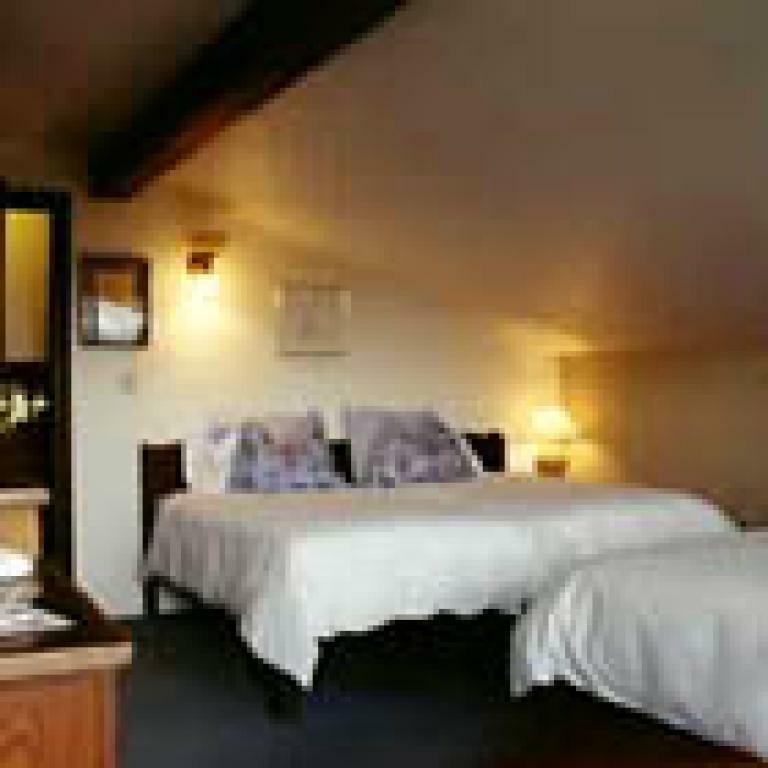 The main Haus has eight rooms consisting of two economy rooms, three standard rooms, two family suites and one luxury suite. Two additional luxury suites are located in the Alm Suites chalet separate from the main Haus. The Haus is located at the trail head of Tumwater Mountain providing immediate access to hiking, biking and snowshoeing. 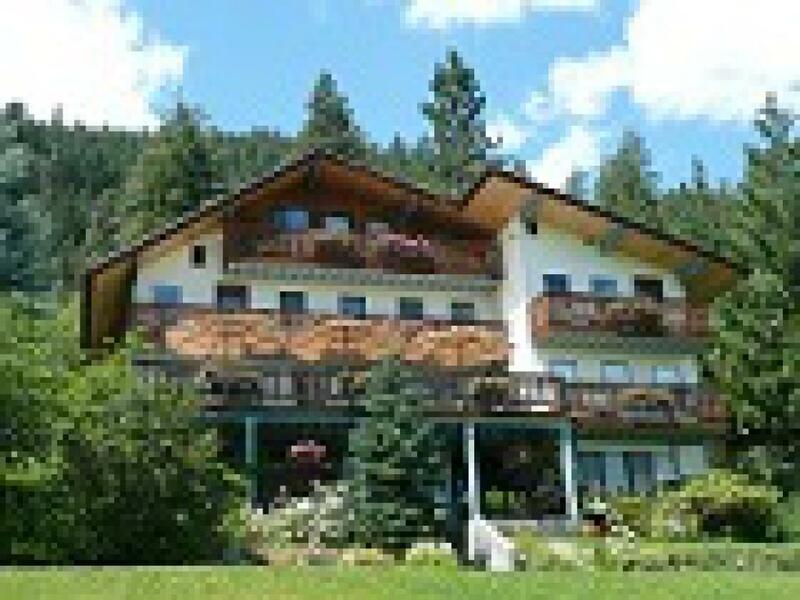 A swimming pool is available during the summer months and a year round outdoor hot tub provide additional valley views and excellent star watching at night. A scenic out door reception area for weddings and family re-unions provides full services as a destination vacation.